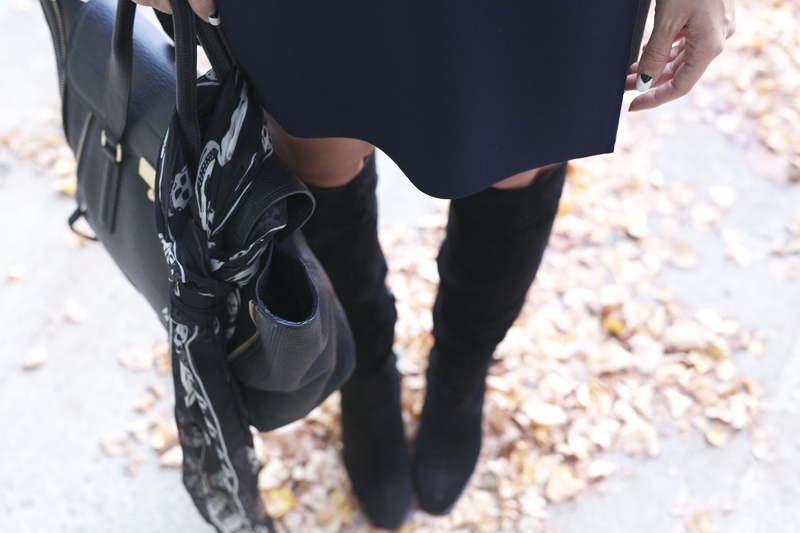 Sarah is wearing: Zara Shift Dress, Zara Suede Knee High Boots, Hat, Phillip Lim Bag and Alexander McQueen Scarf. Zara has always been one of our top go-to shops for updating our wardrobe from season to season. Their pieces are classic, durable and look much more luxurious and expensive than they really are. It’s really all about how you put it together, how you feel in it and the confidence you exude when you wear an outfit you look and feel great in. Proof that you don’t have to break the bank to look flawless. It also doesn’t hurt that their online ordering is easy, their shipping times are super fast and returns are painless (super important when online shopping). We love to check out Zara and other brick and mortar retail stores whenever possible, but hasn’t online shopping become just a little too convenient? Our lives continue to get busier and busier and we find ourselves even ordering our cleaning supplies online (thank you Amazon Prime). When did we become too busy to step away from the iPad and drive to the store? Are we busy, lazy or just too spoiled that we demand everything be delivered to our front doors? What are your thoughts? Do you prefer shopping online to in a store? If it’s online, what are your favorite online shopping addictions/destinations? Please answer in the comments!